"How YOU Can Create Exciting And Effective PowerPoint Presentations - Along With Completely Customized Slide Decks - On Just About Any Topic You Could Think Of... In Less Than 15 Minutes!" 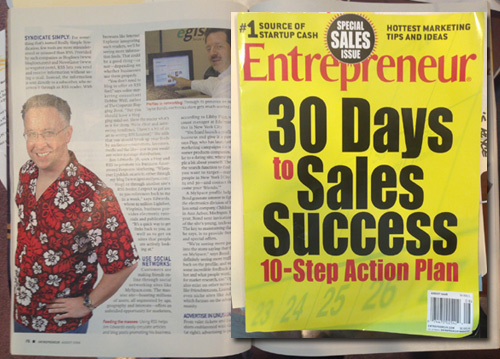 Claim Your Copy Now - Just $197! If you want to create and deliver amazing PowerPoint presentations fast, save a ton of time in creating your PowerPoint slide decks, and build organized, exciting, and entertaining PowerPoint presentations for any purpose... then this is the most important software you'll read about all year! Introducing "PPTX Wizard For PowerPoint"
PPTX Wizard For PowerPoint is an amazing new Automatic Presentation Creation Software from Powerpoint Expert Jim Edwards that helps everyone who needs to make a great presentation to create an entire, organized, professional PowerPoint presentation, along with customized slide deck, just a few minutes. In fact, you're about to discover how to get all your thoughts, resources, points, stories, facts, and even your presentation notes done in less than 15 minutes! Get your presentations, slide decks, and presentation notes done in a fraction of the time (so you can avoid paying outrageous fees to hire someone to help you). Save BIG in both time and money over hiring someone to help you put together your PowerPoint slide decks (so you can create all the PowerPoint Presentations you'll ever need whenever you need them). Quickly organize your thoughts into a coherent presentation so you can avoid fumbling around trying to convert your thoughts into slides that make sense (which means you not only create and deliver amazing PowerPoint presentations fast, but also save a ton of time in creating your slide decks). So as you can see, Jim Edwards is uniquely qualified to help you understand everything you need to know about PowerPoint presentation creation! There are more than 500 million users of PowerPoint worldwide. 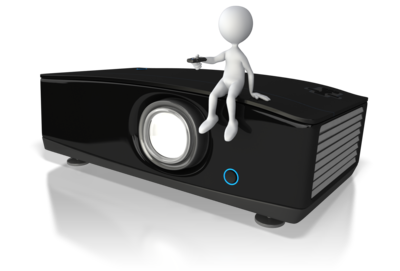 More than 120 million people are using PowerPoint to create business and educational presentations worldwide. 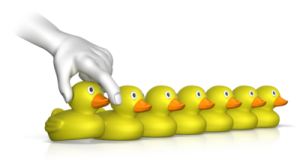 Bottom Line: you need to be fast, professional, organized, and ruthless about how you use each slide to deliver your message. And the PPTX Wizard for PowerPoint helps you do just that... automatically! The quality of the videos is outstanding. The videos alone are worth much more than the cost of of the PPTX Wizard. 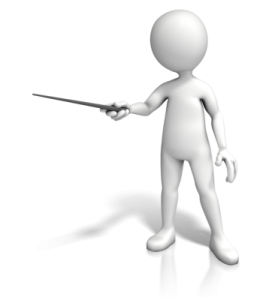 The Wizard and video training together are a super value. 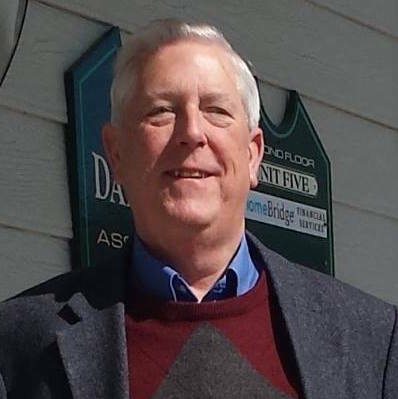 Thanks Jim for your great work. 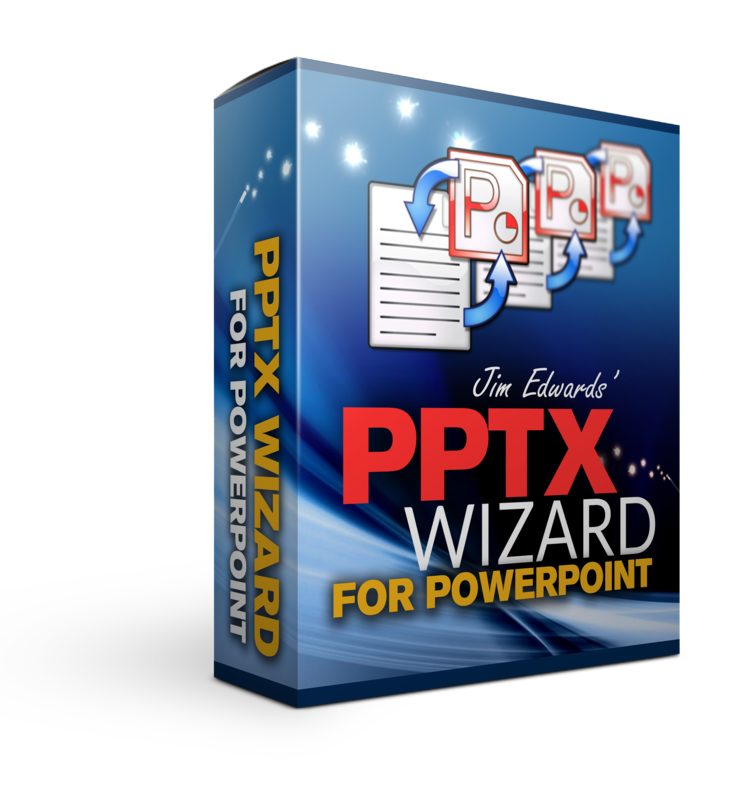 So Here's Exactly What You're Going To Get With "PPTX Wizard For PowerPoint"
On this 2-part training we’ll cover cool things you can do with PowerPoint to get your slides done faster, make them do incredible things, and immediately stand out from the crowd. Plus, I’ll demonstrate all of these tips, tricks and “hacks” LIVE, you’ll get to see all the cool stuff you can do and apply to your own business, and you’ll see how to instantly set ANY PowerPoint – for ANY purpose – apart from the competition! Heck, I even show you how to INSTANTLY change the complete look and feel of an entire presentation with ONE mouse click!! 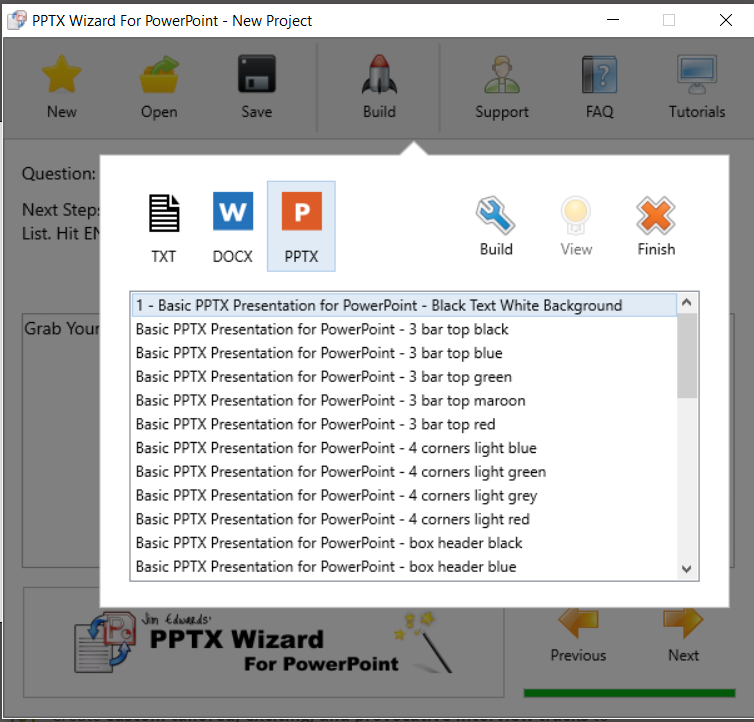 If “PPTX Wizard For PowerPoint” doesn’t make it push-button simple to create and deliver amazing PowerPoint presentations fast… if it doesn’t take you by the hand, step-by-step to save a ton of time in creating your PowerPoint slide decks… or if it fails to help you build organized, exciting, and entertaining PowerPoint presentations for any purpose, then you will receive a full refund, No Questions Asked! 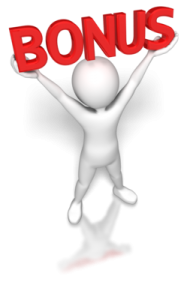 So the total value of what you're getting today is more than $391, especially when you take into consideration the incredible bonus training we're including for you. But the good news is you are NOT going to pay that price. Because we know what it's like to be where you are, and because we want to do everything we can to help you succeed with creating your own amazing PowerPoint presentations, TODAY we're giving you everything we just listed at a special price of just $197! And Best Of All... You'll Start Seeing Results With This Software In Less Than 30 Minutes! So if you're a person who needs to create organized, professional PowerPoint presentations - along with customized slide decks and presentation notes - in just a few minutes, here's why you can't wait. You need to act on this right now. So go ahead, click the order button below right now and you're on your way to creating amazing PowerPoint presentations with the click of your mouse! 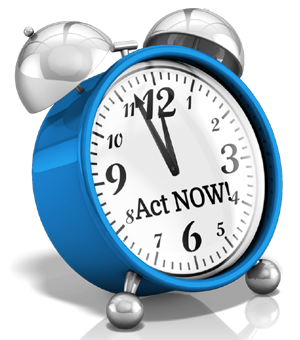 Do it now before the exclusive bonuses get pulled and the price goes up. Don't miss this breakthrough Automatic Presentation Creation Software Wizard that creates entire, organized, professional PowerPoint presentations, along with customized slide decks, just a few minutes - on ANY topic! 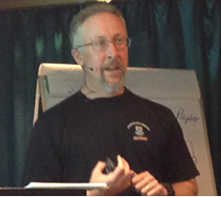 Claim your copy of this exciting and informative NEW PowerPoint presentation creation "Wizard" from Jim Edwards! P.S. - Never before have you had such a unique opportunity to create an entire, organized, professional PowerPoint presentation, along with customized slide deck, just a few minutes - get in on this Automatic Presentation Creation Software now before your competitors use it to leap way ahead of you with their presentations! Click Here Now! P.P.S. - Let's be blunt: If you pass on this offer, will you succeed with your PowerPoint presentation creation? Probably not! You'll just keep struggling and never figure out how to create entire, organized, professional PowerPoint presentations, along with customized slide decks and presentation notes, just a few minutes! 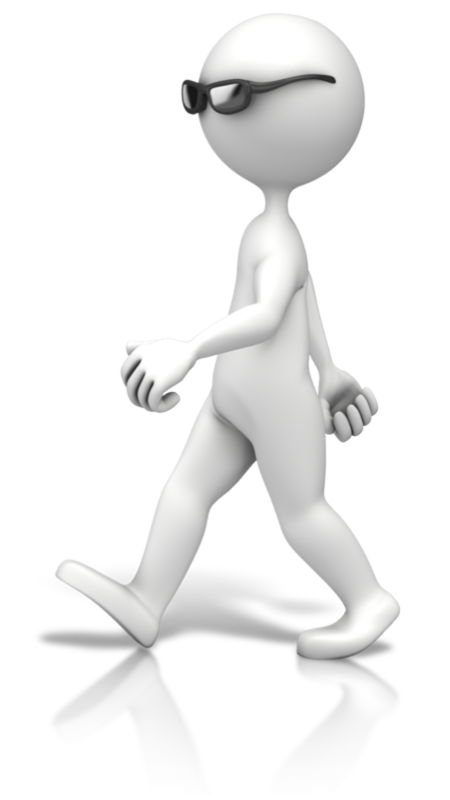 What you need is this done-for-you software from a person who has successfully "been there and done that!" with PowerPoint presentation creation and knows exactly what you're going through right now trying to get great presentations done fast! Get this Automatic Presentation Creation Software NOW and find the PowerPoint presentation creation success you want in less than 30 minutes!